Turn text into actions (beta). Is there a better alternative to Tactor? 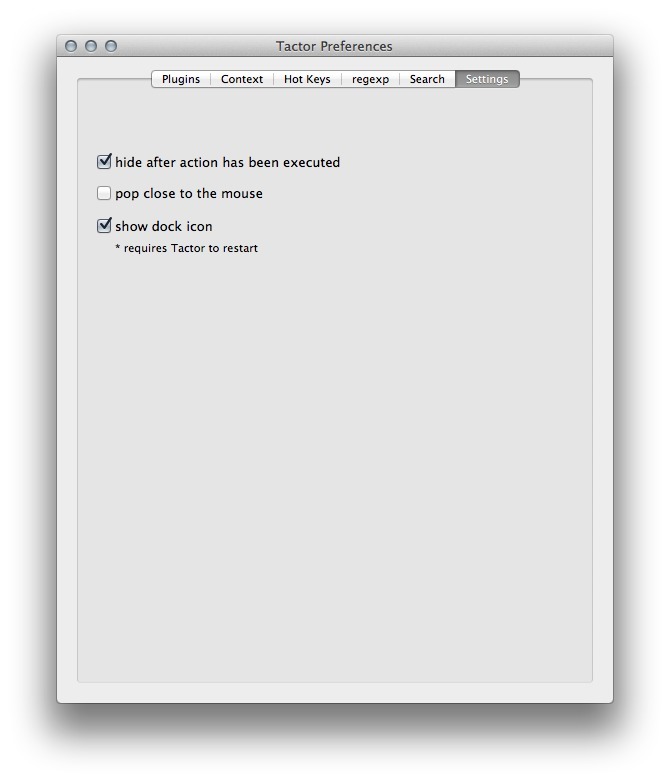 Is Tactor really the best app in Productivity category? 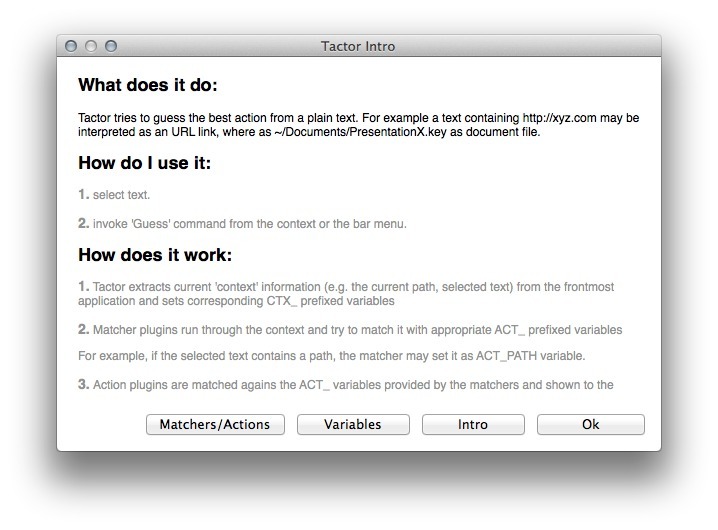 Will Tactor work good on macOS 10.13.4? Tactor tries to guess the best action for the current text selection. For example consider text containing http://xyz.com -- a URL link. Or ~/Documents/MyPresentation.key -- a presentation file. 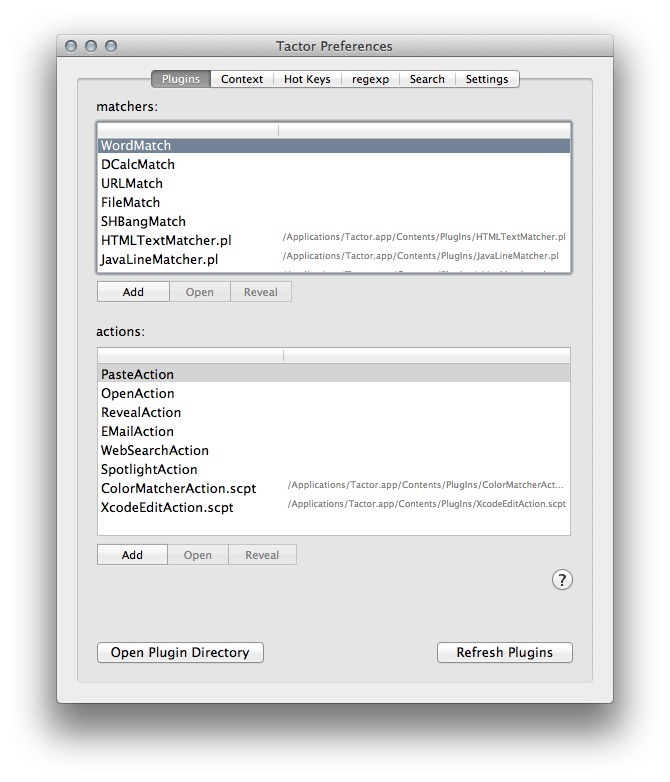 Both matchers and actions are fully customizable. Tactor's idea is loosely based on Plan9's Plumber, where any text can potentially be an action, although the actual technical implementation is very different. And it provides functionality somewhat similar to that of Apple Data Detectors in a way that is fully extensible and transparent. Version 0.8: Release notes were unavailable when this listing was updated. Tactor needs a review. Be the first to review this app and get the discussion started! Tactor needs a rating. Be the first to rate this app and get the discussion started!